Single Loop Controller is a digital indicating controller featuring multi-range inputs and PID control system using new algorithms "RationaLOOP PID (Ra-PID)" and "Just-FiTTER". 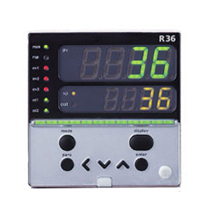 Model R35/R36 is a digital indicating controller featuring multi-range inputs and PID control system using new algorithms "RationaLOOP PID (Ra-PID)" and "Just-FiTTER". Up to two control output points (this number of points may vary depending on the model) can be used, which are selectable from the relay contact, motor drive relay, and current. Model R15 is a 48 x 48mm compact digital indicating controller featuring group multi-range inputs and PID control system using new algorithms "RationaLOOP PID (Ra-PID)" and "Just-FiTTER". Up to two control output points (this number of points may vary depending on the model) can be used, which are selectable from the relay contact and current. 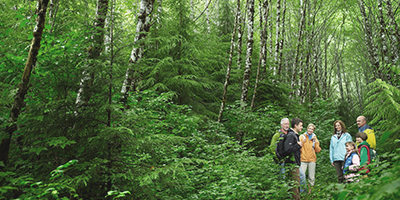 Two kinds of mounting methods are provided, panel mounting type and socket mounting type.